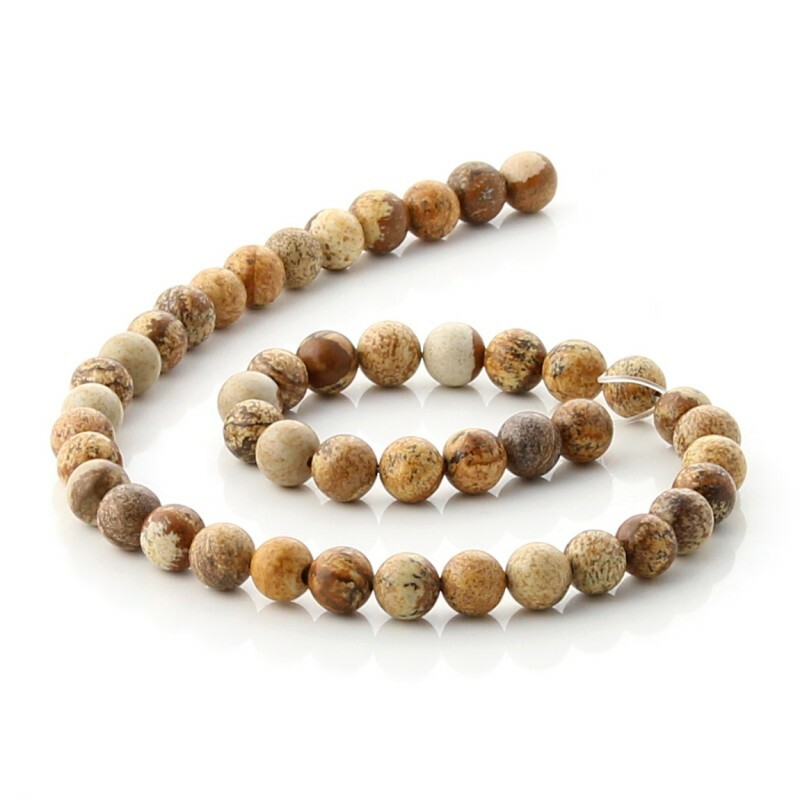 Paisina jasper in round beads. 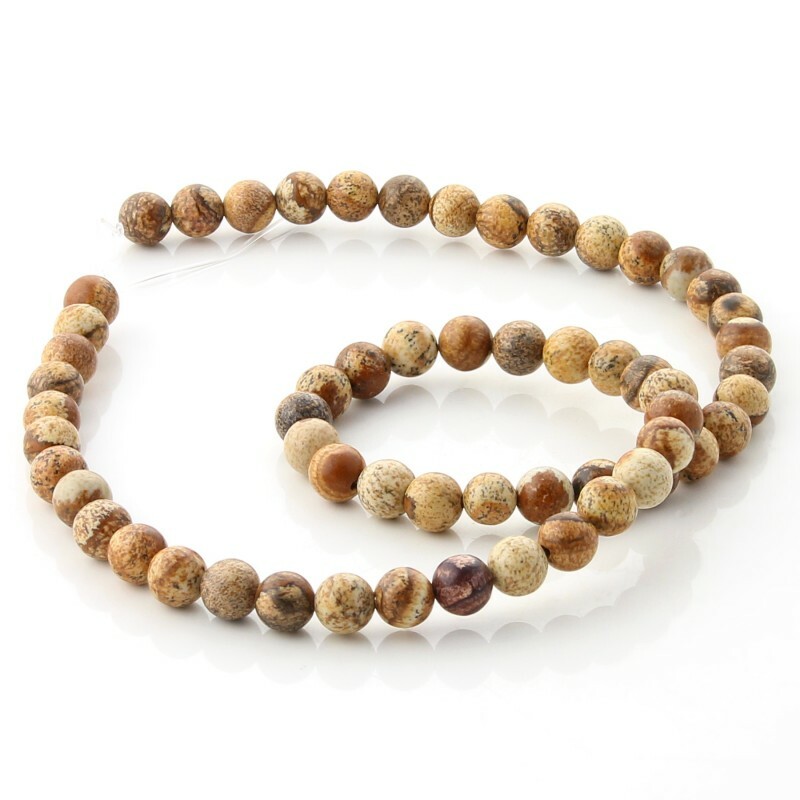 These paisina jasper balls, widely used in costume jewelery along with other beads and ornaments, are used to create jewelry or various accessories, and get personalized items. These round beads of paisina jasper, are bored and arranged in strips between 38 and 40 cm in length. 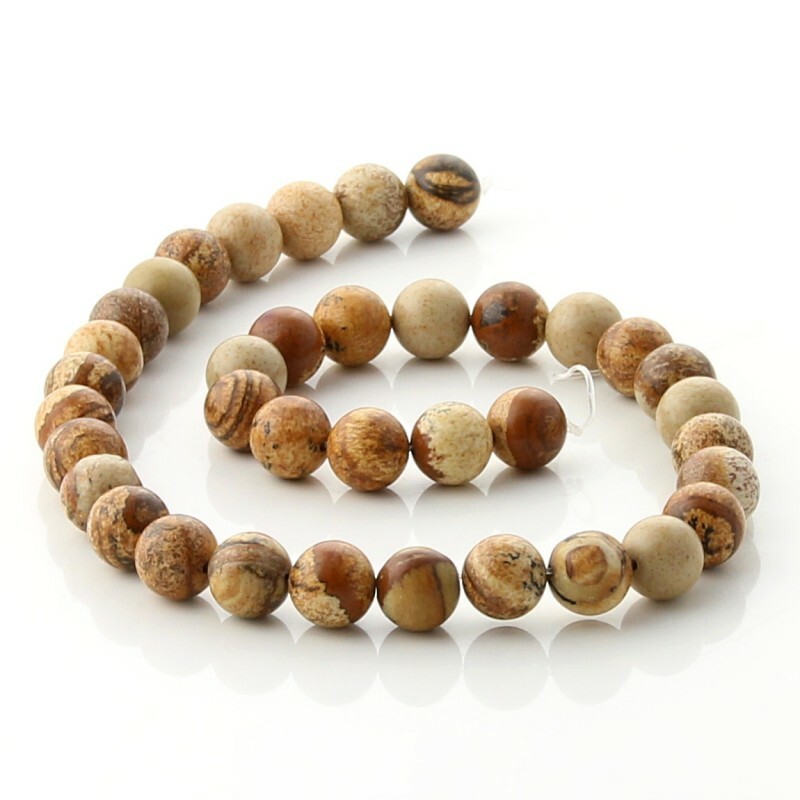 There are various sizes of these beads: 4 mm, 6 mm, 8 mm and 10 mm. 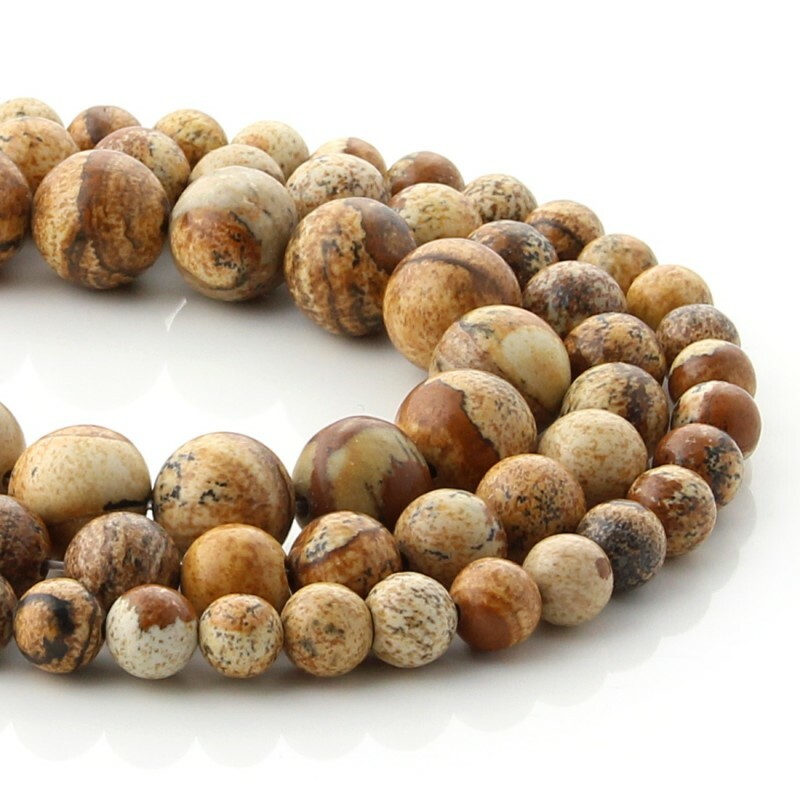 This jasper variety has terracotta tones. 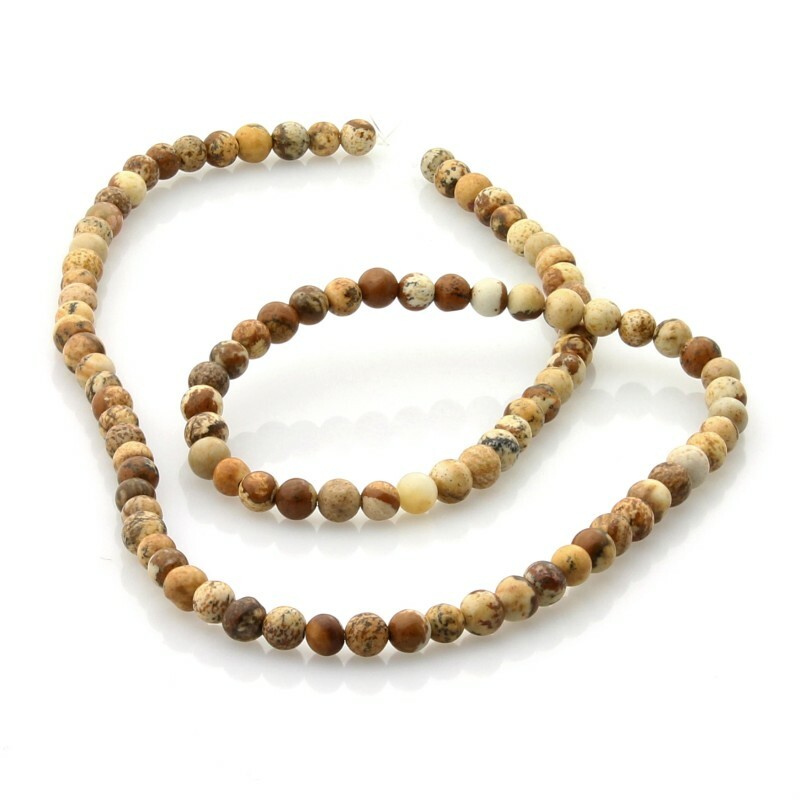 It brings self-confidence and strength, helping in overcoming obstacles. It connects us with the earth and reality.